Researchers at Mayo Clinic in Arizona (http://www.mayoclinic.org/arizona/) and the University of Georgia (UGA) have developed a vaccine that dramatically reduces tumors in a mouse model that mimics 90 percent of human breast and pancreatic cancer cases — including those that are resistant to common treatments. The vaccine, described this week in the early edition of the journal Proceedings of the National Academy of Sciences (http://www.pnas.org/), reveals a promising new strategy for treating cancers that share the same distinct carbohydrate signature, including ovarian and colorectal cancers. When cells become cancerous, the sugars on their surface proteins undergo distinct changes that set them apart from healthy cells. For decades, scientists have tried to enable the immune system to recognize those differences to destroy cancer cells rather than normal cells. But since cancer cells originate within the body, the immune system generally doesn’t recognize them as foreign and therefore doesn’t mount an attack. The researchers used unique mice developed by Sandra Gendler, Ph.D. (http://mayoresearch.mayo.edu/mayo/research/gendler_lab/), the David F. and Margaret T. Grohne Professor of Therapeutics for Cancer Research at Mayo Clinic in Arizona and co-senior author on the study. Like humans, the mice develop tumors that overexpress a protein known as MUC1 (http://discoverysedge.mayo.edu/de08-2-ctsa-gendler/index.cfm) on the surface of their cells. The tumor-associated MUC1 protein is adorned with a distinctive, shorter set of carbohydrates that set it apart from healthy cells. “This vaccine elicits a very strong immune response,” says study co-senior author Geert-Jan Boons, Ph.D., Franklin Professor of Chemistry and a researcher in the UGA Cancer Center and its Complex Carbohydrate Research Center in Athens. Dr. Gendler says MUC1 is found on more than 70 percent of all cancers that kill. Many cancers, such as breast, pancreatic, ovarian and multiple myeloma, express MUC1 with the shorter carbohydrate on more than 90 percent of cases. She explains that when cancer occurs, the architecture of the cell changes and MUC1 is produced at high levels, promoting tumor formation. A vaccine directed against MUC1 has tremendous potential to prevent recurrence or as a prophylactic in patients at high risk for particular cancers, Dr. Gendler says. A vaccine also can be used together with standard therapy such as chemotherapy in cancers that cannot be cured by surgery, such as pancreatic cancer. For the immune system to recognize MUC1 on the tumor cells, it required a special vaccine that had three parts. One part tricks the body into thinking that the cancer cell is a bacterial infection, one part stimulates an antibody response, and one part stimulates a lymphocyte response. If any of the three components were omitted, the vaccine did not work as well. Dr. Boons notes that MUC1 is also overexpressed in 90 percent of the subset of patients who are not responsive to hormonal therapy, such as tamoxifen or aromatase inhibitors, or the drug Herceptin. These so-called triple-negative tumors are extremely aggressive and difficult to treat, Dr. Boons says, and a new treatment option is urgently needed. Dr. Gendler and her colleagues are currently testing the vaccine’s effectiveness against human cancer cells in culture and are planning to assess toxicity. 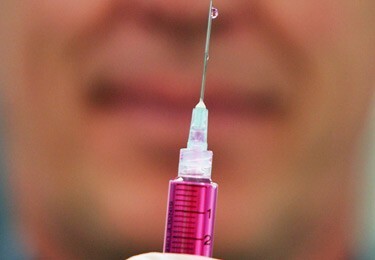 If all goes well, phase I clinical trials to test the safety of the vaccine could begin by late 2013. Co-first authors on the paper are Vani Lakshminarayanan, Ph.D., at Mayo Clinic in Arizona, and Pamela Thompson at the University of Georgia. Additional authors include Margreet Wolfert, Ph.D. and Therese Buskas, Ph.D., both from UGA; and Judy Bradley, Latha Pathangey, Cathy Madsen and Peter Cohen, M.D., all from Mayo Clinic in Arizona. The research was funded by the National Cancer Institute, the Mayo Breast Specialized Program of Research Excellence (SPORE) Grant and the Mayo Pancreas SPORE Grant. Mayo Clinic is a nonprofit worldwide leader in medical care, research and education for people from all walks of life. For more information, visit www.mayoclinic.org/about/ and www.mayoclinic.org/news.